It’s that time of year again for spooks and spirits. Everyone seems to interpret Halloween differently, and it’s not even age specific anymore. Some prefer harmless ghosts made from some sheets and cut white eyes while others go for the full gore-fest. No matter what your flavor, there’s always a lot of great music to choose from. This time around, I’ve taken to pulling data from the Billboard Top 25 charts to see what kinds of things the US is spending money on to celebrate the holiday. One curious thing to note is that the theme song to Tim Burton’s Nightmare Before Christmas, “This Is Halloween” has charted twice by two different artists. Enjoy! BONUS! There are hundreds of other songs out there that could have made this list. In fact, this year’s list seems strange to be missing classics like “Dead Man’s Party” by Oingo Boingo and “The Devil Went Down To Georgia” by The Charlie Daniels Band. They both seem fitting for the holiday, but they just didn’t make the sales charts this season. It’s hard to pick a personal favorite, but here’s one that likely would never make the list (despite its obvious name). Track six from their 1998 release “Before These Crowded Streets” is “Halloween” and is one of my favorite Dave Matthews Band tracks. Here is an excellent version that is taken from a live show I attended in our own backyard in 2012 at Shoreline Amphitheatre in Mountain View, California. I hope that you enjoy it, too! Now tell me, what song do you think should also be on this list? Spencer Weddings and Entertainment is excited to support Wyatt’s Walk for the third year in a row. Join us for Wyatt’s Walk 2017 and become a Wyatt Warrior. All funds raised during this family-friendly 5k walk/fun-run will go directly towards pediatric mastocytosis research. 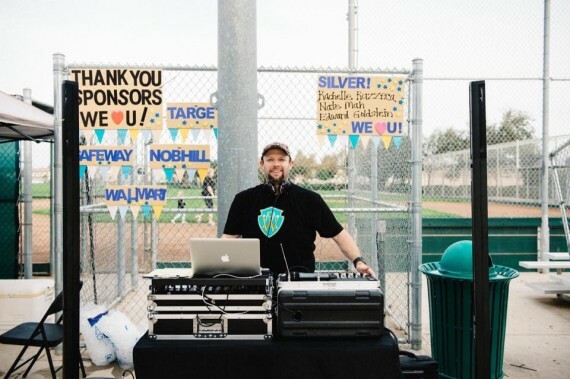 We hope that you’ll join us at the Gilroy Sports Park on November 5th for Wyatt’s Walk. Registration is just $25 or you can register to be a sponsor or simply make a cash donation on the Eventbrite page. You can also learn more on the Masto Wyatt Warriors Facebook Page. Earlier this week I had the opportunity to jump on as a guest of The Stress-Less Wedding: Planning Your Big Day with Ease and Joy interview series on Facebook Live with Erin Summ, owner of As You Wish Weddings. Each week Erin interviews wedding professionals who will give you tips on staying stress-free during your wedding planning, wedding day, and for keeping your confidence throughout the entire process. As You Wish Wedding Officiant, offers sweet, non-denominational wedding ceremonies in both English and Spanish, and pre-marital coaching. Check out the interview below and be sure to let us know if you have your own tips in the comments! If you didn’t start with Halloween candy, I’m sure that Thanksgiving is the time of year in which you bend the rules of your regular diet and eat a little more than usual. Whether you are out braving those retailers that opted to open their doors on Thanksgiving Day, are home preparing for a great family meal, or you’ve already made it to Black Friday, here’s a list of tracks to get you through part of your day. BONUS! With Thanksgiving Day is upon us, what better way to celebrate than by tuning into part of my own childhood — “A Charlie Brown Thanksgiving”? The animated film is set to air Wednesday, November 26 on ABC at 8 p.m. EST. It’s hard to pick a personal favorite, but they all come from some of my favorite tracks. I hope that you enjoy it, too! What song do you think should also be on this list? As a seven-year-old boy in 1984, there were two films that I remember being allowed to see that kept me up at night. The first was Poltergeist, which to this day still freaks me out. The other was an Ivan Reitman film starring the ever talented and hilarious Bill Murray, the paranormal genius Dan Aykroyd, the late and great Harold Ramis, silly guy Rick Moranis, alien hunter Sigourney Weaver, and a slew of other marvelous actors. Heck, it even had Reginald VelJohnson cast as — what else — a police officer! I wish I knew the answer to that. 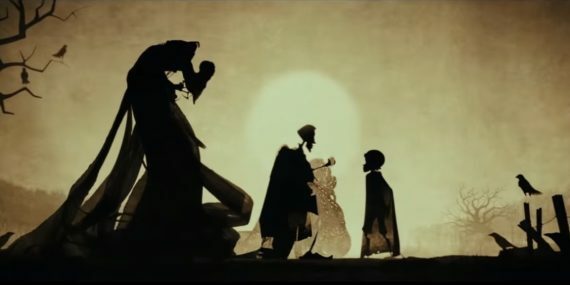 In the years that would follow, I would fall deeply in love with this film. Like most Bill Murray films (especially of the 1980’s), I can quote nearly every line in this movie. As a teenager, it’s one of a dozen that my friends and I would stay up and watch every weekend during sleepovers. Eventually, it’s humor that shaped the personality I have today. 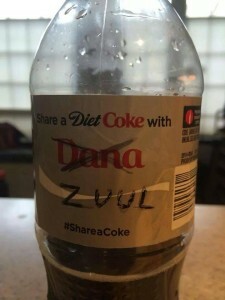 Anyone that recently saw the Diet Coke bottle with Dana Zuul written on it and chuckled internally knows the nuances of this film. “Human sacrifice, dogs and cats living together… mass hysteria!” It’s a quote that anyone who has seen the movie can immediately identify. That’s why when I learned that the movie celebrated it’s 30th anniversary, I was prepared to gift something pearl or diamond. But then I learned they are running it in theaters again as a limited engagement for one week only (opens August 28th in some cities). It’s been fully restored, and mastered in 4K on Blu-ray, and now includes special features. Ghostbusters is one of those movies that I really hope they don’t remake, reboot, have another sequel… It’s a classic and it stands all by itself as one of the greatest comedies of all time. The film’s special effects were also quite advanced for the era in which it was made. The folks over at Gallery 1988 (@galleries1988) have already sold out of most of the amazing 30th Anniversary prints, but if you are looking for some really cool swag to relive your own memories of this film, there’s still a lot out there. 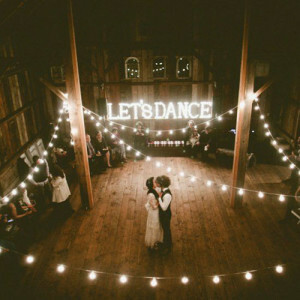 And finally, this is a website about weddings. That’s why I’m going to share something special for the gentlemen. They may only be made from jewelry grade white steel, but for just about $25 you can get your hands on a set of Ghostbuster logo cufflinks. These are sure to strike up a conversation in any situation. BONUS: For those of you that live near San Francisco, make sure to keep your eyes out for the non-profit fan group The Bay Area Ghostbusters.